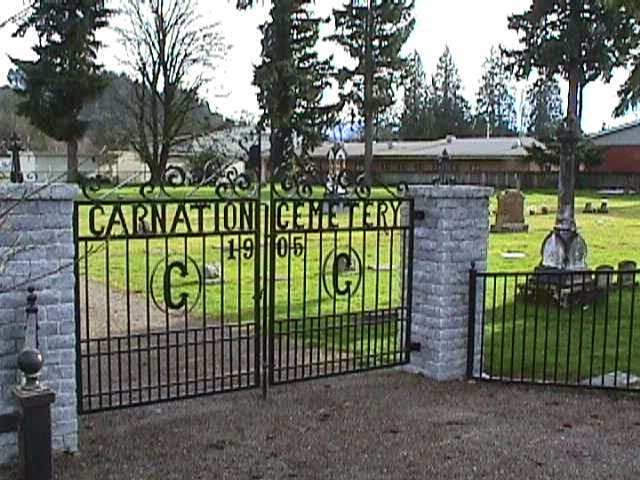 The old Tolt Cemetery, commonly referred to as the Carnation Cemetery, is located in King County, Washington. According to a local citizen named Isabel Jones, the cemetery dates back to 1905 when Frederick B. Bagwell donated the land which is now the northern section of the cemetery. Bagwell headed up the cemetery association, which was entirely comprised of Masons. However, the cemetery was open to everyone. The following year, however, the International Order of Oddfellows started their own cemetery association and their own cemetery, located directly across the road, to the south of Tolt Cemetery. Today, the Carnation Cemetery is still an active place---active with paranormal activity! There are numerous mentions of this location being haunted, and it seems like each mention contains a different laundry list of strange and unusual activity experienced by visitors. Here are just a few of the many things experienced in this historically haunted cemetery!